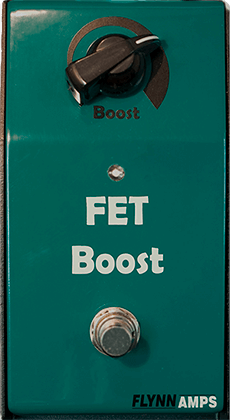 When you need a straight boost that will lift your volume level but won’t colour your tone the Flynn Amps FET booster is the perfect choice. An ultra high impedence FET input section buffers the signal prior to boosting to ensure that detail is retained with the added benefit of adding valve like shimmer to the top frequencies. Shimmering clear highs, focused mid range and perfectly balanced low end. 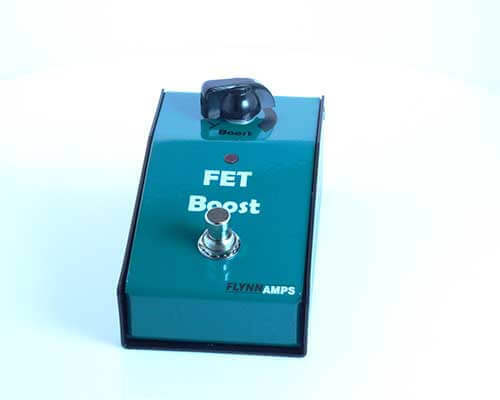 The FET Boost will expand your tone and give you presence without over colouration. FET stands for Field Effect Transistor. The FET transistor has a huge input impedance which means your guitar pickup doesn’t get loaded and lose it’s brightness like some vintage effects are prone to do. 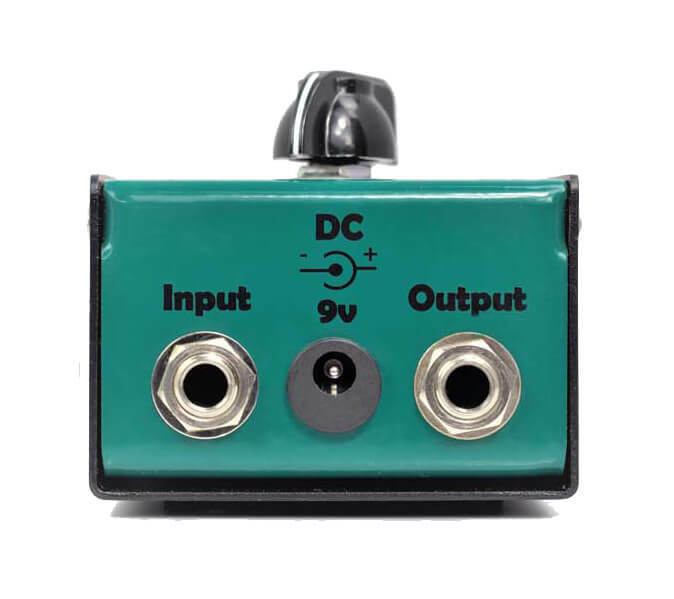 The FET transistor also adds a very rich harmonic shimmer to your tone and can sound almost valve like. 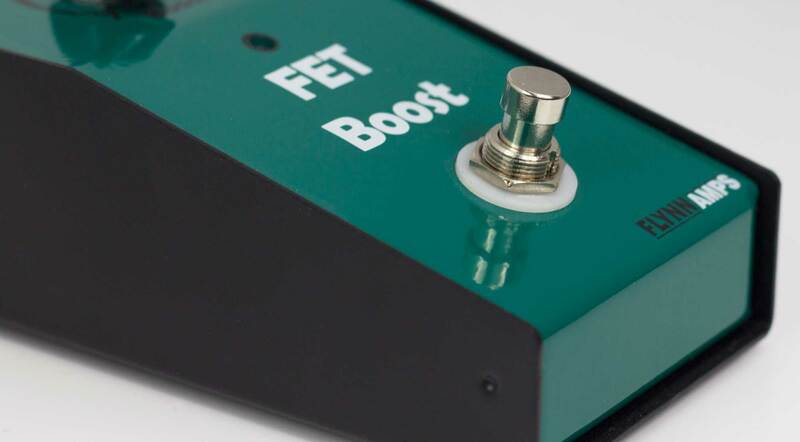 We use the FET to collect the guitar input signal, preserving the full tone whilst adding some shimmer which is then amplified by a convention discrete transistor output stage. The final tone is transparent but lively.